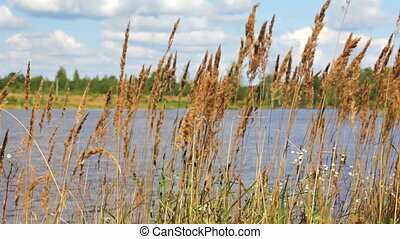 Dried rush and reed cattails swamp grass high the nature landscape outdoors russia. 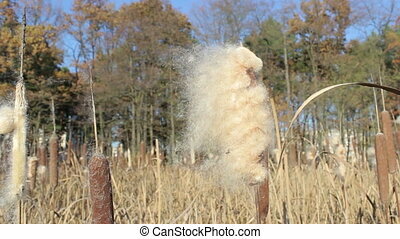 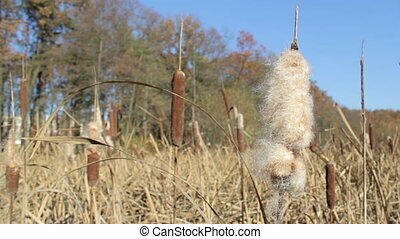 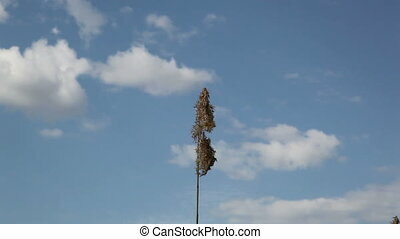 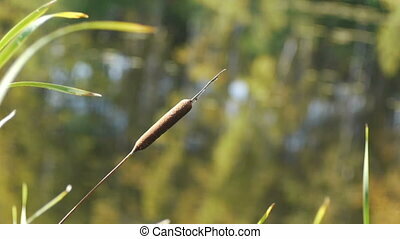 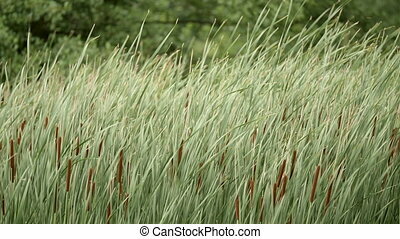 Dried rush and reed cattails swamp grass high nature landscape outdoors russia. 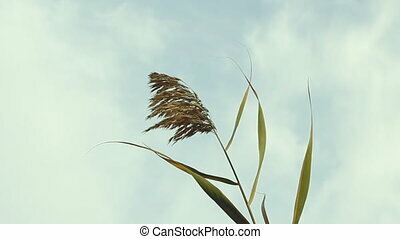 Dry grass on the river bank. 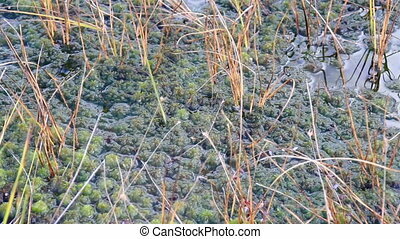 Plants all soaked in the water on the bog swamp marsh land. 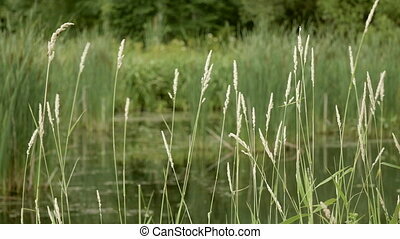 The plants that are growing healthy are all soaked up in the water. 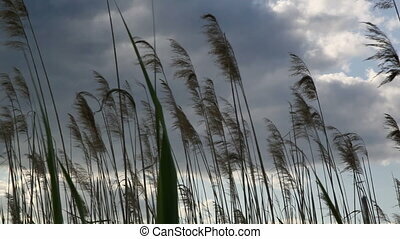 Canes on the river bank.